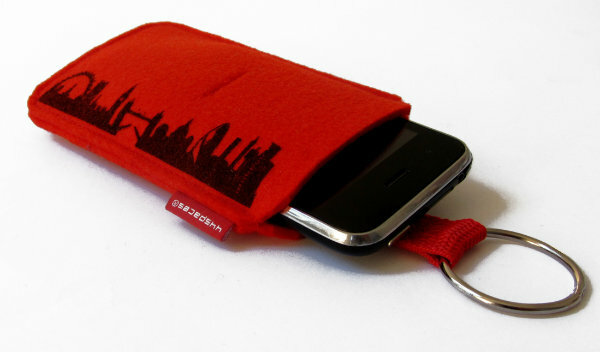 The City Sleeve Phone Case is a stylish cover for your smartphone. The case is handmade in wool felt and hand screen printed with a design of the London skyline, printed in a warm chocolate brown. Available in green and red, the felt phone cover feels soft and tactile to the touch. As well as protecting your smartphone from knocks and scratches, it also gently cleans the screen when you remove it from the cover. And a smart red ribbon makes it safe and easy for you to pull out your phone. 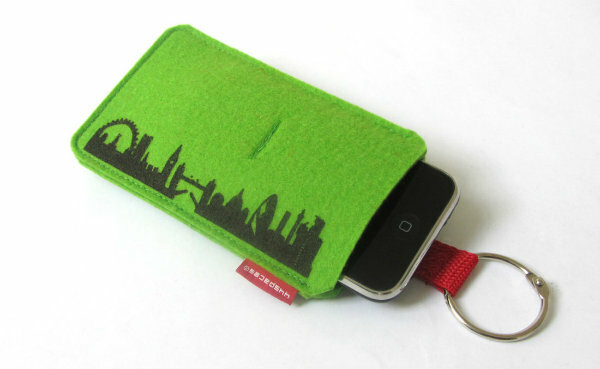 The modern and urban design of the London skyline turns your mobile phone cover into a trendy accessory for daily use. 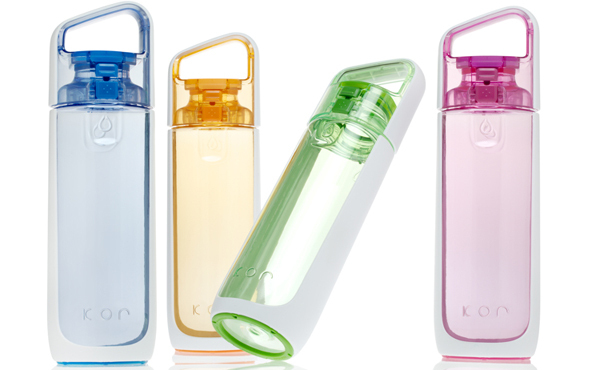 Koko SoftSpout Water Bottle is a drinking bottle with a difference. It is designed with a soft, flexible spout , that offers a more comfortable drinking experience than from a hard rigid spout, and also controls the flow of water. In addition, the drinking bottle features a dome shaped cap with integrated handle for easy toting. Functional and stylish, the sleek design of this reusable water bottle makes it ideal for use on the go, in the office or in the gym. BPA free, it is made from Eastman Tritan copolyester with FDA approved silicone SoftSpout. It is both leak and stain resistant, as well as being dishwasher safe on the top rack. 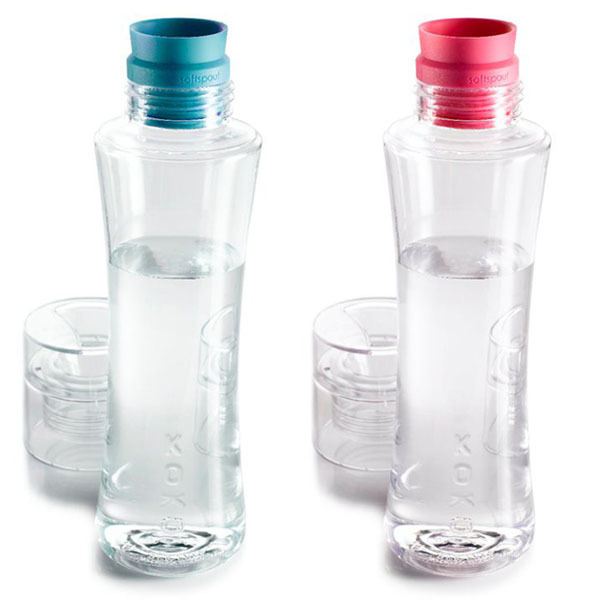 KOR Water’s goal is to create the world’s most stylish and functional reusable water bottles. And the new KOR Delta Water Bottle incorporates everything they have learned about the art of high style, high performance hydration. Delta is a versatile on-the-go BPA free water bottle with a confident personality and groundbreaking new features. It is made from Eastman Tritan ™, which provides the look and feel of glass – without the fragility. The water bottle has an easy to open, push button cap which stays out of the way when you drink. The innovative Perfect Spout ™ is designed to be large enough to accommodate ice cubes and has a threadless design that feels better on the lips. Delta also features a new safety latch design for worry-free closure; and the cap and vessel separate with a simple twist for easy cleaning. It’s distinctive ergonomic handle is in the shape of the Delta – the ancient Greek symbol for change. Each bottle also comes with KOR Stones – little discs with inspirational messages that fit on the inside of the lid. With the KOR philosophy of Design, Health and Sustainability, this beautifully designed water bottle will contribute to your well being – as well as helping to reduce disposable bottled water waste. Mist Hydrator Water Bottle is a sports bottle with a handy water mister feature and pop-up straw. 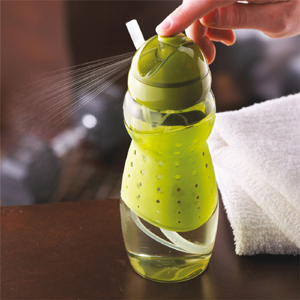 The Mister will spray cool water on your face, making it the perfect sports bottle to use when you’re exercising. This ergonomic, contoured water bottle with soft grip is also ideal to carry around with you on a day to day basis to keep you hydrated – and keep you cool on hot days. Snail Tape Measure by Ototo is a fun and functional home accessory. Accurate in both centimeters and inches, the retractable tape measure is designed to look like a snail. 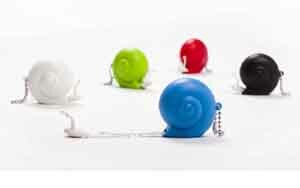 The Snail Tape Measure is a handy accessory to have around the home or office and can also be attached to your keyring. Very useful next time your are out shopping. Now instead of wondering whether those home accessories you are thinking of buying will fit in your space, you’ll be able to whip out the tape measure and know for sure.